Oppression takes many forms. It can be political or cultural, or even social. There's the weight of inherited oppression, and there's the question of how oppression shapes who we are - both individually and collectively. 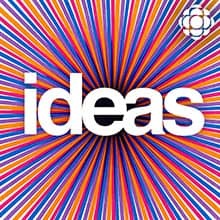 This episode features a discussion with Bhutila Karpoche an Ontario politician of Tibetan heritage, Eloge Butera a government lawyer and a refugee from Rwanda, and Christina Gray a Dene-Metis lawyer. Faith and spiritual traditions have always shaped our ideas of right and wrong, both in the private and the public sphere. How do the values that come from faith shape secular society - and should they? And are social values necessarily secular? Journalist Haroon Siddiqui, Sto:Lo First Nation writer Lee Maracle, and writer Michael Coren debate the issues. The evidence is in: if the earth is to survive catastrophic climate change, the economies of the world can't continue to grow infinitely. Maintaining the status quo makes ecological viability impossible. But imagining a world without capitalism also seems to be impossible. Doing so would require fundamentally rethinking our idea of prosperity and how we value work. In lecture and conversation, mathematician and philosopher David Schweickart asks whether there is another way forward for capitalism, one in which the choice isn't between the economy and life itself. Poetry may not have the same place in our culture that it once had, but it remains an art form of singular power to those who immerse themselves in it. It has the capacity to inspire and enthrall, and to befuddle and infuriate. It can electrify a society, make you see the world with fresh eyes, or simply leave you mystified. On this month's edition of The Enright Files, conversations about the power of poetry to change the world or drive you to distraction. On the CBC Massey Lectures tour, each lecture concluded in an audience discussion with Tanya Talaga - most of which was never broadcast. In the original broadcast of the Massey Lectures, we invited you -the radio audience - to send in your questions for Tanya Talaga. In this episode, Tanya Talaga talks with Greg Kelly about her experience of delivering the CBC Massey Lectures, and responds to some of the questions sent to her, plus some of the best of those audience discussions from the tour. In her 2018 CBC Massey Lectures series, titled All Our Relations: Finding the Path Forward, prize-winning journalist Tanya Talaga (author of Seven Fallen Feathers) explores the legacy of cultural genocide against Indigenous peoples. For Talaga, that cultural genocide has led to a forced disconnection from land and language by Indigenous peoples. The need now, she says, is for Indigenous self-determination in social, cultural and political arenas. Under the eyes of the law, animals that live in our homes or on a farm are 'property.' But there's a growing movement to grant some animals like chimpanzees, elephants and dolphins 'non-human persons' status. Harvard Law School doctoral candidate Jessica Eisen thinks the law could do even better than that. This episode is part of our ongoing series, Ideas from the Trenches. Download Is it time for animals to "lawyer up"? The intelligentsia mocked her writings and lampooned her philosophy, which she called Objectivism. But Ayn Rand's books, especially her two major works, The Fountainhead and Atlas Shrugged, continue to sell millions of copies. There are Ayn Rand think tanks, academies, even dating sites. And her influence on politics and popular culture are stronger than ever. Contributor Sandy Bourque outlines Rand's improbable rise to fame and influence, and the surprising Canadian connection which helped secure her place in the history of ideas. This episode is part 2 of a two-part series. The world, the universe, is a mess of molecules and muck. Within the chaos, though, a cosmic harmony plays the secret song of nature, and the music of matter. You just have to be able to read the music. Contributor Ian Wilkinson unravels the universal chords as the world honours the 150th anniversary of Dmitri Mendeleev's creation of the Periodic Table of the Chemical Elements. Why is it common knowledge that we saved runaway slaves from the United States, but few know that Africans and Indigenous peoples were bought, sold and exploited, right here? In the first of a two part series, contributor Kyle G. Brown asks how slavery was allowed to continue for some 200 years, and be one of the least talked-about aspects of our history. Part 1 of a 2-part series. You might think that the heart symbol ? and romantic love have always been bedfellows. But you'd be wrong. At times, the symbol was just a decoration. At others, it meant spiritual, chaste love. At still others, romantic and carnal. Marilyn Yalom the author of "The Amorous Heart: An Unconventional History of Love". In it, she traces the astonishing, centuries-long journey of how the symbol took on all the meanings it has today. Michel de Montaigne was many things: a 16th century French writer, bureaucrat, and self-defined accidental philosopher. He's also the inventor of a new literary form we now call the essay. His Essais - various "trials" or "experiments" in ideas - have touched centuries of readers and writers. Flaubert once exhorted us to "read him in order to live." Contributor Tony Luppino opens the writings and life of Western literature's original 'free thinker', who wrote on everything from idleness and liars, to wearing clothes and punishing cowardice. Sewers are a relatively modern phenomenon. For centuries, people in cities lived intimately with their waste. The price paid for that lack of awareness about hygiene was of course disease and plague - as well as unbearable stench. Understanding how germs and diseases are spread led to sanitation and sewers - and to the modern city. The rebuilding of Paris in the mid-19th century was a great civic achievement and a new idea of society only made possible because it was built on sewers. Philip Coulter goes underground in the City of Light to visit the City of Smells. It doesn't seem strange that the best-loved and best-selling English language poets should be women, but that wasn't always the case. In fact, arguably the greatest American poet of the 19th Century - Emily Dickinson - wrote in total obscurity during her life. But by the middle of the 20th Century, Dickinson, and the generations of female poets she inspired, were beginning to get their due. On this month's edition of The Enright Files, conversations about Emily Dickinson, Sylvia Plath and Adrienne Rich - women who inspired poets of the last few decades.